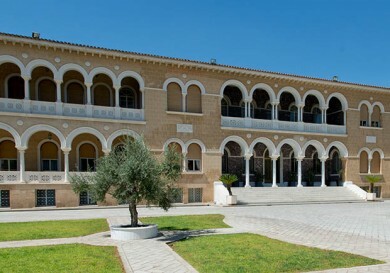 Palea Egklistra (Greek – the place of seclusion) is a solitary priory in a small cave hollowed out in the rock. 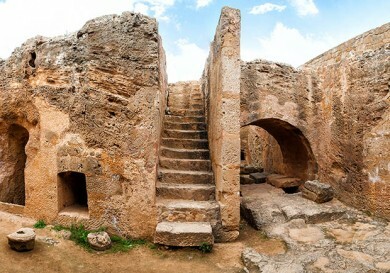 The priory is located in a picturesque mountain valley near a church consecrated in honour of Saint Constantine. 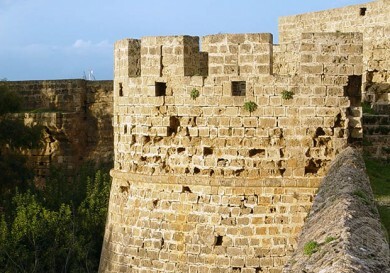 After visiting the church of the Most Holy Mother of God, Panhagia Katoliki, and an open air museum on the ruins of the ancient city of Paleo Paphos, move further along towards the village of Archimandrita (ref. map). After about 5 km you will see a right turn – a narrow road with a sign in front. 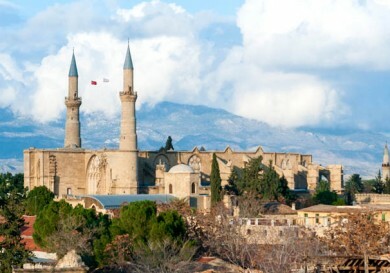 To the left, at the bottom of the mountain valley, you will see the small church of Saint Constantine. A concrete road turns onto a dirt track. There will be a fork close to the church. The road going to the left will lead you to the old priory. You can park your car to the left of the fork and walk from here. If you are used to Orthodox churches, you will be familiar with the ‘lock’ and just untie the knot of the rope and enter without hesitation. Pay attention to the alter right in front of you. There is no iconostasis we are accustomed to, but nevertheless there is an alter, in the centre of which there is a lord’s table. It is here where the Great Sacrifice, the Mystery of Transformation of wine and bread into the Blood and Body of Christ takes place at each liturgy. Only men, and only with the blessing of the priest, can enter the alter. 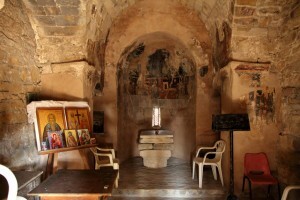 The icons of Saint Constantine, Tsarina Yelena and Saint Neophytos are to the left. 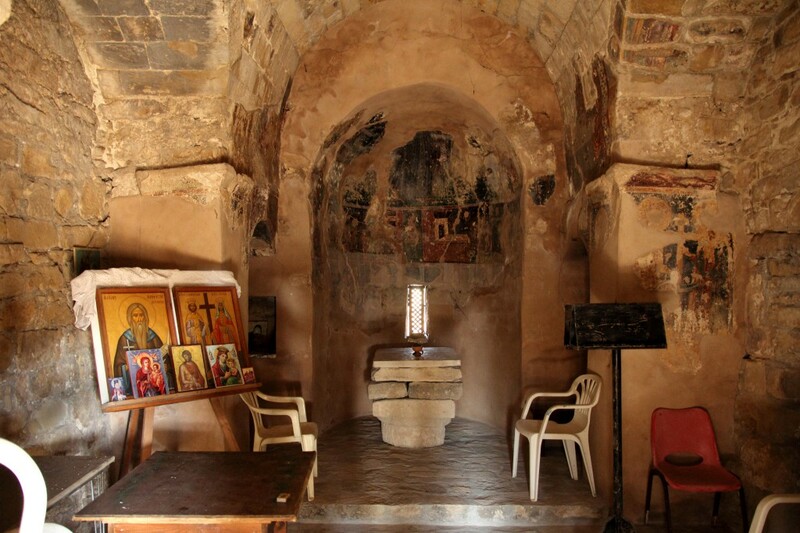 The inner design of the church is ascetic – a black analogion, a candle stand with sand and oil for the lamps. It is very quiet here and the surroundings prompt prayer and reflection. When leaving the church, do not forget to ‘lock’ the door. 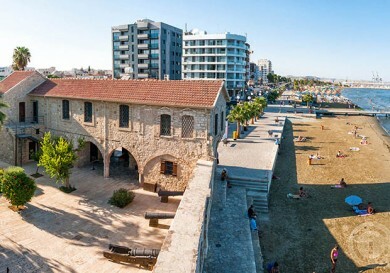 According to one legend, the priory was established by Saint Neophytos in the 12th century before he settled near Paphos, where there is still a monastery named after him. But this legend is not backed up by sources, and most experts agree that the priory and murals date back to the 15th century. The priory was most likely set up by an unknown Christian devotee, whose body was buried in the cave nearby (to the left of the priory). Today the priory is fenced off with a metal grill. You can ask for the key to the lock in the museum of Paleo Paphos, but you can see the inner design through a fine grid quite well (I even managed to take several pictures). There are wonderful murals inside. In the centre there is an icon of the Most Holy Trinity. 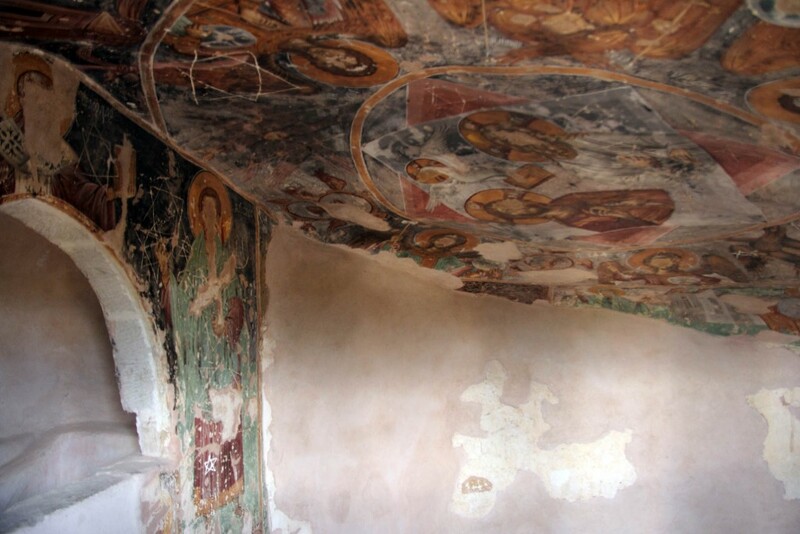 The rich colours are amazing considering the age of the frescos, but vandals have disfigured the faces of the saints by painting six pointed stars on them. 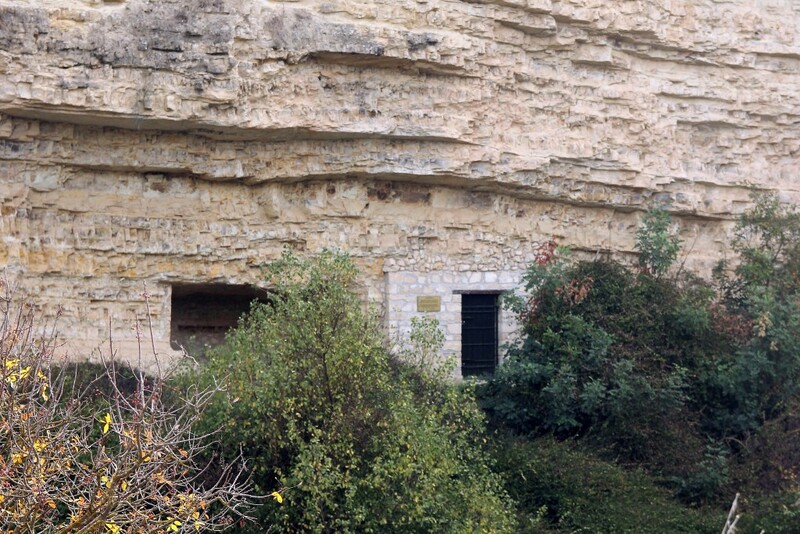 After a walk along the mountain paths, we leave for the final point in our journey – the priory of Saint Father in the village of Archimandrita.